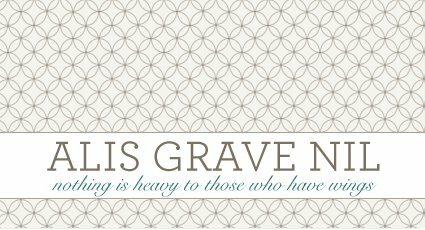 alis grave nil: Blankets galore! Nothing witty or well-planned this evening--I'm exhausted. 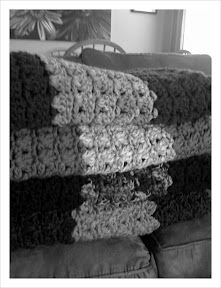 I took last night's nightmare about crocheting as a sign that I needed to get a move on ASAP. I've been working but I'm not quite done yet. 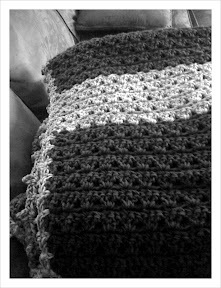 I finished another blanket today--it's in black and white in the photo since it's a present and I don't want to ruin the surprise. After Christmas I'll post pics of all of them so you can see the colors. These are the four I've made since Halloween. They're all about twin bed size, to give you an idea. I really love them all stacked up like finished books. Puffy heart love. For reals. The kids and I watched all three "The Santa Clause" movies today, and I cleaned house for a long time. Not the most exciting way to spend the first day of one's vacation, but now I'll relax much better since it's clean. I do have things to post in the next couple of days--some Christmas memories and another new yarn-related venture I'm starting. For now, I'm heading to bed. Yes, it's before 8:00. Don't judge. DANG!! all of those since Halloween! How do you do that? Are you super fast at it or what? Congrats! Thats a HUGE accomplishment in my book!